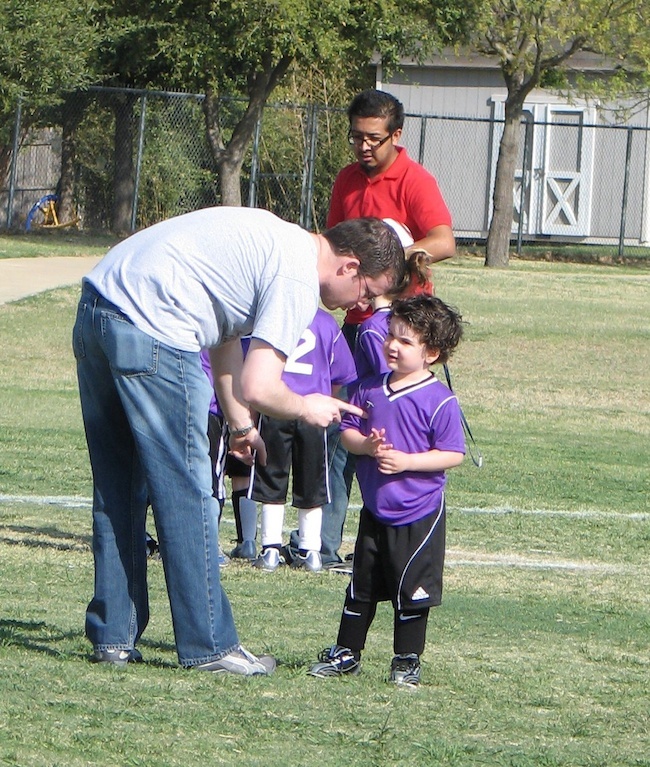 Max’s dad trying to talk him into joining the soccer game. Max is my oldest grandson. A few years ago he thought he’d like to give soccer a try. He thought wrong. I recorded the story of his fear and some lessons I learned back in April 2011. I’m posting it here today because fear is a timeless subject. For a good long while Max’s dad and I both tried – together and independently – to get him to join the other kids on the field. This kid’s fear was real and it was working furiously to keep him off the field. He simply couldn’t withstand it even though he saw all the other kids enjoying chasing the ball all over the field. Regardless of our age, fear is a powerful force that gets in our way. Max’s encounter on a spring Saturday a few years ago taught me some things.